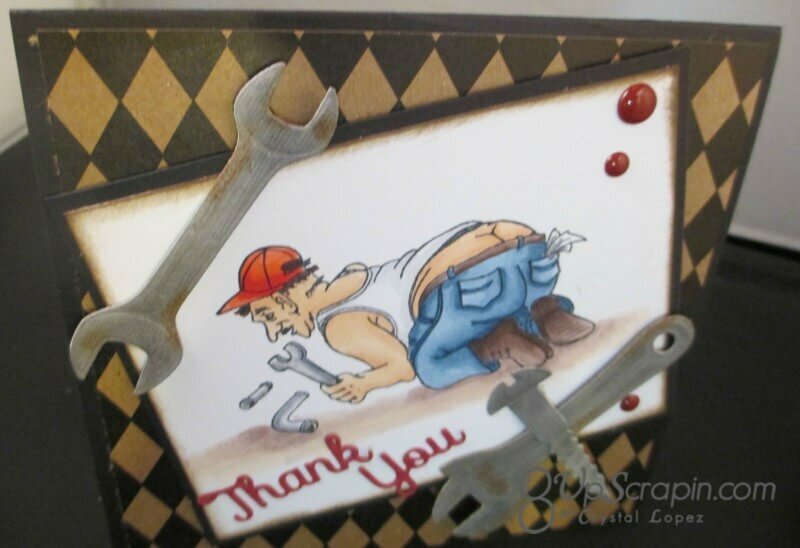 It’s Crystal here and today we are going masculine , I am using Handy Andy and decide I should make a Thank You card for today inspiration . 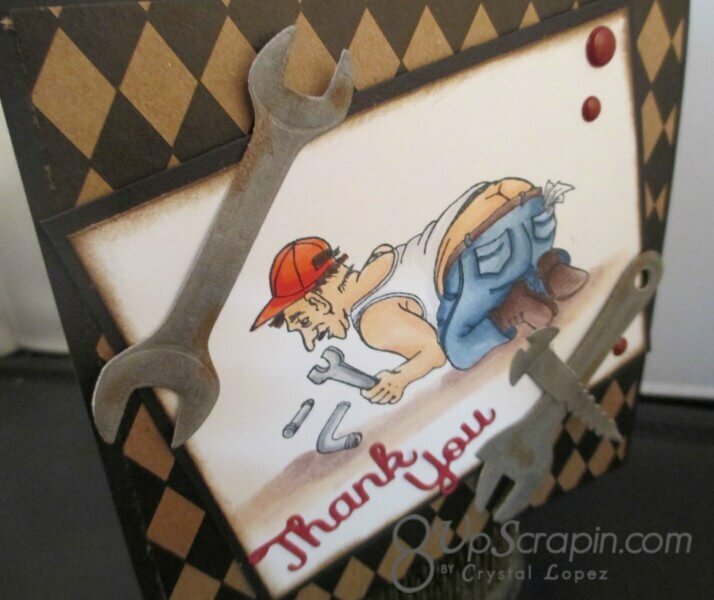 Sometimes a friends helps you out with a fix around the house and you need a thank you card , Handy Any is a perfect image for this , you can get him and lots of other great stamps over in the I Brake for Stamps online store. 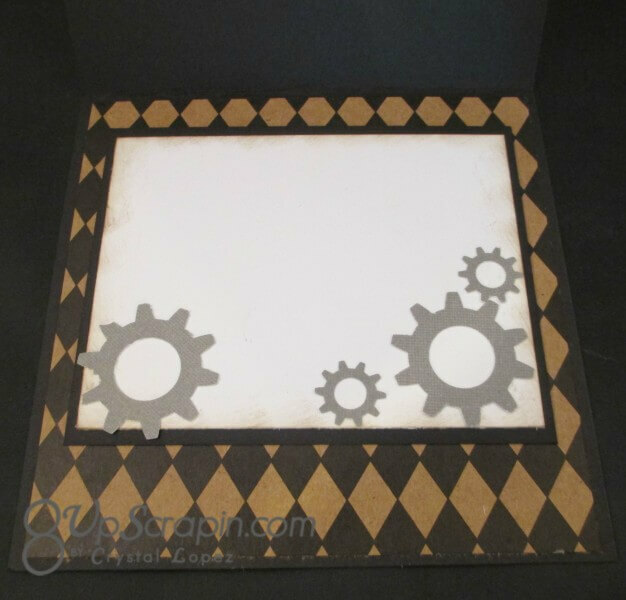 I cut my tools from gray CS and then sponged a darker gray as the are stencil die too and then no tool is free of Rust , so I added some rust spots to make them look more life-like.